Barrow-in-Furness certainly has a lot to offer, traditionally one of the biggest iron and steel centres in the world, Barrow has evolved into Britain’s leading area for government nuclear submarine building program and now has the largest costal windfarm in the world on its door step this in turn, has drawn many other large industrial employers to the area and many contractors are attracted to the town for this reason. Barrow-in-Furness is – understandably – an enviable location, with the sea on one side, and the lakes on the other. This Victorian town has a proud heritage of production and innovation and, during the 19th century, Barrow rapidly developed into one of the major ship building towns in the country. The name ‘Furness’ is derived from ‘Far Ness’ (or ‘distant headland’) and the town’s remoteness was a main reason why the monks chose to build an abbey there. Barrow-in-Furness is the largest town in South Cumbria and is well-known for its shipbuilding, with the shipyards now primarily focused on submarine construction. Barrow is home to a number of impressive companies, such as BAE Systems, who are spending more than £300m on construction projects, which is providing a huge boost to the local and regional economy. Due to its location, Barrow has proved popular due to its easy access to the surrounding areas. Barrow-in-Furness’ railway station is the largest station serving in the town. The station provides easy access to other areas of Cumbria, such as Carlisle, and neighbouring Lancashire, as well as connections to Manchester, Edinburgh and beyond. Barrow isn’t only easy to access from public transport, it is equally accessible by car via the M6, meaning getting on the road is quick and easy. Ulverston is a market town located just 8 miles outside Barrow-on-Furness, also close to the Lake District and a mile and a half from Morecambe Bay. Ulverston homes numerous cafes for relaxation and enjoyment in the friendly and peaceful market town. One of these is The Market Cafe, located in the town’s Market Hall. Opened in 1878, the café has been a key part of the towns heritage for several decades. Ulverston also homes many shops for you to explore, whether you have a passion for music, photography, bikes or books, they have a shop for you. Millom is another small coastal town located near Barrow-in-Furness. Situated on the fringe of the Lake District National Park, it was once amongst the largest industrial sites of iron and steel in the world. Nowadays, Millom’s economy is based around retail and tourism, with a lot of people employed in skilled trades such as building, painting, or decorating. Coming to a new town can seem daunting at first, especially for those who have come for business purposes, as you may not have enough time to truly get to know the area. 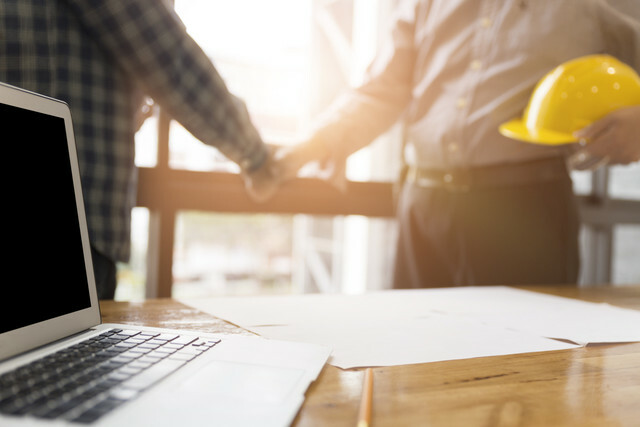 However, even whilst visiting for work reasons, contractors should still find the time to see what Barrow offers its residents, and what activities and buildings surround the local businesses. 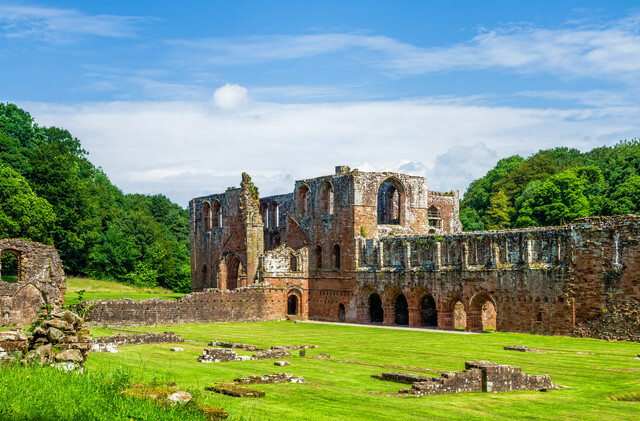 The Furness Abbey – Also known as St. Mary of Furness, this is a 900-year-old site which was once the second wealthiest and most powerful Cistercian monastery in the country, behind Fountains Abbey in North Yorkshire. The majestic remains of Furness Abbey once housed wealthy individuals. It was founded by Stephen, Count of Boulogne in 1123, with the Abbey now in the care of English Heritage. Piel Island – This island is only 15 minutes away from Furness Abbey. Situated on the tip of the Furness Peninsula, Piel Island welcomes travellers who come to the beautiful 50-acre island. South Walney Nature Reserve – This reserve is home to one of the largest gull colonies in Europe, with more than 30,000 of these amazing birds living here. The Nature Reserve is one of the finest bird-watching sites in Cumbria as well. Barrow itself has had a long and successful history in industry and business, adding to the ever-thriving entrepreneurial culture it holds. The success of the major companies in the town, such as BAE, Dong, Centrica, National Grid, Robert McAlpine, Morgan Sindall, W T Parker, Waites Construction and Kimberly-Clark, show just how much you can succeed within the area. Offering a fantastic location and countless opportunities, Barrow offers much for contractors as the ‘Gateway to Britain’s Energy Coast’ as well as housing the most advanced technology in world at BAE system. If you are a contractor looking for accommodation in the Barrow-in-Furness area, our estate agents in Cumbria will be more than happy to help you. Please do not hesitate to get in touch with a member of our team today who can provide the ideal accommodation for you.